The Linux kernel underlies all kinds of systems across the computing landscape, from embedded systems to supercomputers. Today, the number of developers contributing to a given Linux kernel version is almost 2000. These range from developers who have many years of experience and work on core parts of the kernel to new developers who contribute a single device driver or bug fix. This volume of contributors and range of experience levels implies that devising means to unambiguously communicate information about kernel properties across the code base is critical. In this talk, we will highlight one of the tools that we have developed in this direction, Coccinelle. Coccinelle provides a domain-specific, code-based language for describing bug finding rules and evolutions in C code. It has been used in the development of thousands of changes (commits) to the Linux kernel, since 2007. This talk will give an overview of Coccinelle, its impact on the Linux kernel, and the research projects that have been carried out in the Whisper team that it has enabled. 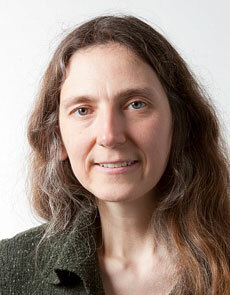 Julia Lawall is a Senior Research Scientist (Directrice de Recherche) in the Whisper group at Inria/LIP6. She also participates in the IRILL. Her current research focuses on the design and implementation of domain-specific languages, mostly targetting problems in operating systems. She also worked worked on partial evaluation, optimal reduction of the lambda calculus and continuations.